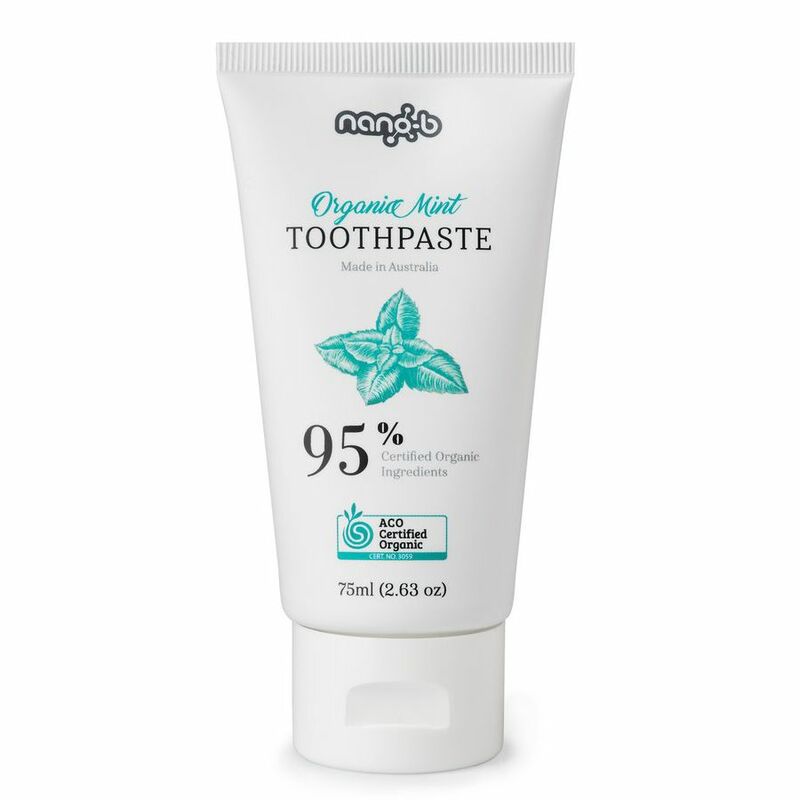 A unique blend of pure organic ingredients that cleans and protects your teeth in a natural way. Organic herbal extracts and essential oils freshen your breath and promote healthy teeth and gums. Tasty - We love the taste of our toothpaste (we barely keep ourselves from eating it up!). It leaves your mouth feeling clean and fresh, without the numb feeling conventional toothpastes leave you with. Finally, you’ll be able to enjoy your orange juice in the morning. Cruelty Free - Our toothpaste has never been tested on animals. 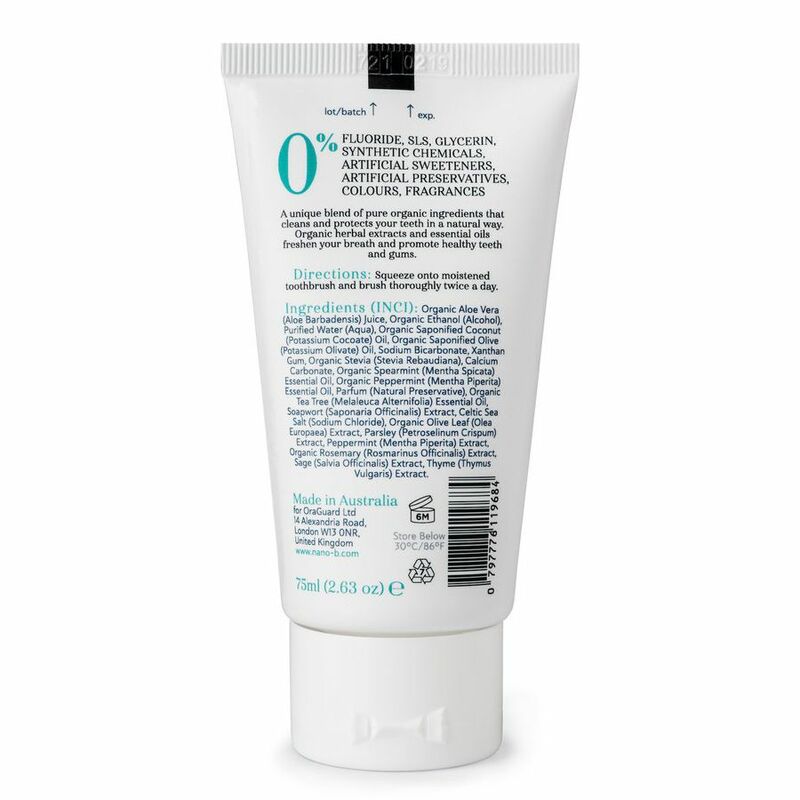 Made in Australia - Our toothpaste in made in environmentally concerned, high-quality manufacturing facility in Australia, dedicated to creating all-natural, toxin free products. 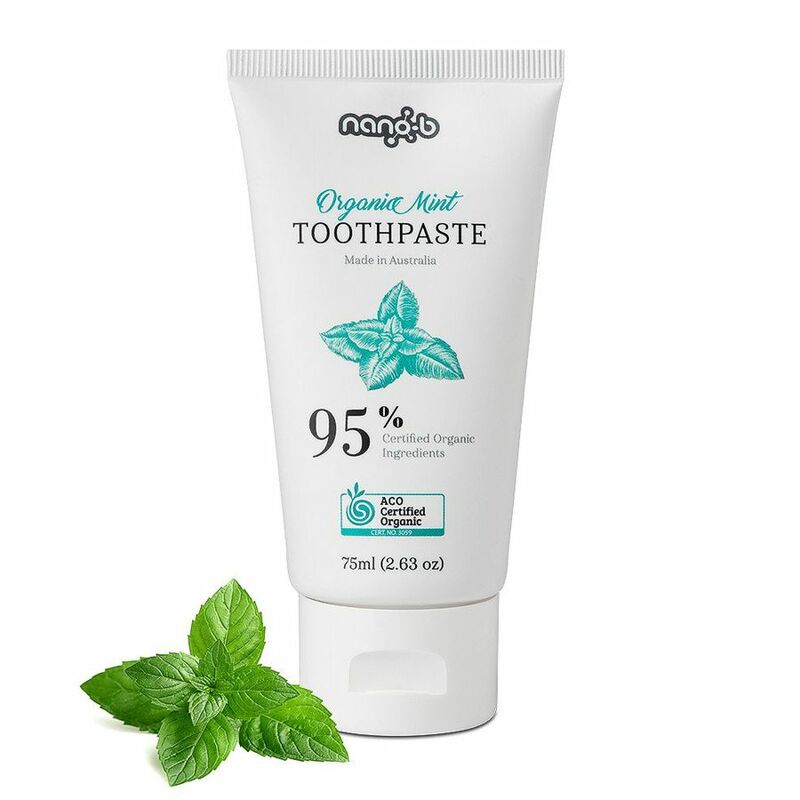 Travel Friendly - The Nano-b toothpaste is 75ml (2.63oz) and thus, TSA compliant, so you can safely take it on board everywhere you go. DIRECTIONS: Squeeze onto moistened toothbrush and brush gently but thoroughly twice a day. 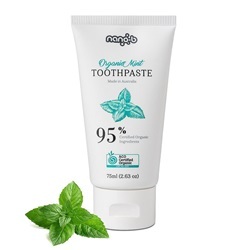 The Nano-b Toothpaste has a slightly different texture and feel than other toothpastes, because there are no chemical additives and detergents.